1. The Bounty Manager and the Team reserve their right to make changes to any details of this program at anytime, without advanced notice. 2. Payment addresses will only be changed under special circumstances and all stakes will be set to zero in the event your payment address is changed. 3. Any kind of offensive or inadequate behavior when promoting INFLR will result in immediate disqualification from the bounty campaign, and all current and future managed Bounty Programs. 4. 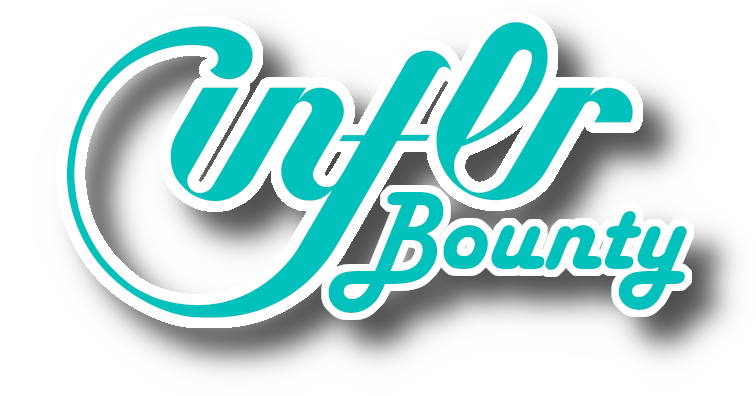 All decisions made by the Bounty Manager and/or INFLR are final. A total of 8,000,000 INFLR have been allocated to the bounty program. 1,600,000 INFLR have been allocated to this campaign. 3. Shares must be spaced at least one hour from one another. Participants not adhering to this rule will not receive any stakes. 7. Do not submit shares older than 1 week as it will not be counted. Breaking this rule may result in a ban from the Bounty Program. All Links MUST meet the rules regarding the official hashtags listed above. Participants may use each link once within a week. Participants who will fail to follow this rule will be banned. Maximum: 1 (one) share per hour, four shares per day, and 20 shares per week. Participants may use each link once within a week. Participants failing to follow this rule will be banned. 3. 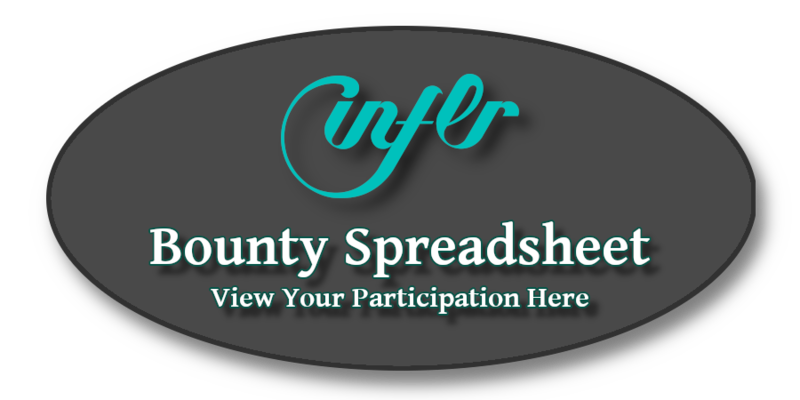 Participants can retweet INFLR's tweets or create their own content from the YouTube channel, blog,etc., or anything related to INFLR. 3. 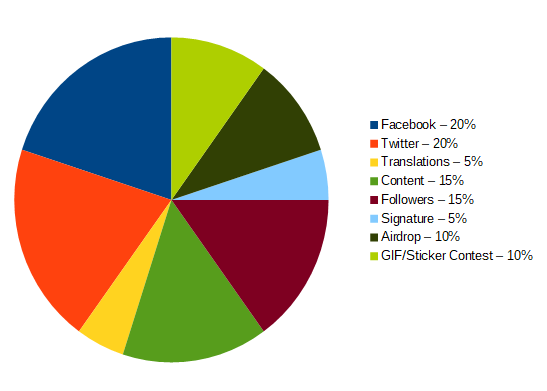 The participants' Twitter audit (https://www.twitteraudit.com/) score must be equal to at least 85% and only real followers from the last audit will count. 6. Do not retweet anything older than four days as it will NOT be counted. Repeatedly breaking this rue will result in being banned. 8. Please DO NOT tweet pointless comments. 10. Minimum three tweets/retweets per week Maximum one tweet/retweet per hour, four tweets/retweets per day, and 20 retweets per week. 1,200,000 INFLR have been allocated to this campaign. - Promoting it in other forums, on your Facebook/LinkedIn group or any other social media outlet with a widespread outreach. 7. Spamming/posting in wrong subforums will not be tolerated. Posts deleted or closed by the forum's administration will not count. Additional: All content creations will be accepted. The form can be completed now but the evaluation will happen at the end of the Bounty Campaign, which means receiving zero stakes is possible, contingent on the quality of your report. 400,000 INFLR have been allocated to this campaign. This campaign will be used to reward our social media followers, simply for following us. 800,000 INFLR have been allocated to this campaign. This airdrop will be distributed equally among all verified participants. The exact amount received per participant will be calculated by dividing the total airdrop allocation by the total number of verified participants. This will take place at the end of the airdrop – prior to distribution. Any Account deemed to be a fake, duplicate, or bot will be removed at the discretion of the Bounty Team. 800,000 INFLR have been allocated to this contest. This campaign will be used to reward telegram users for creating GIFs and/or Stickers for Inflr. Each participant will be awarded 5 stakes per submission. All submitted content must be created originally by the submitter. In the event duplicate entries are received, the 1st submission will be accepted, and the user who entered the duplicate submisson will be subject to ban from the contest. All sticker entries should NOT be part of a sticker pack, and must follow telegram’s sticker requirements (No larger than 512px x 512 px, and one side must be exactly 512px). GIFs must be under 3 MB in size. All submission must be relevant to INFLR and must not contain abusive/disrespectful content of any type, users not following this rule will be banned from the contest AND the telegram group! Replace the ‘1’ with ‘2’ for your second entry, ‘3’ for your third, and so on. There are no limits to how many entries you can submit. This program will be rewarded in ETH. Inflr will be rewarding anyone who refers investors to our token sale. If someone uses your referral link to purchase INFLR tokens, you will earn ETH equivalent to 5% of their contribution amount. More Details on How to Participate – COMING SOON! I would to reserved Vietnamese translation. Good day Sir. I would like to clarify. Its written on the rules 20 max reposts/retweets but its also written submit the report form only once in a week. How to send the other reports because there's only till 6 links at the report form. Thanks. Hope we not to late..
Do you need Japanese Translation for INFLR ? We are MoonSteel Team. MoonSteel is team to help all of you, to translation from English to Japanese Languanges. We are fastest in translating material ( Specifically Whitepaper, Onepager, and Website ). Please PM if you need our helps.